When fitting aftermarket seats, please ensure that the installation is completed by a skilled professional as adjustments and modifications may be required to the equipment depending on the combination of products being used. Please note that OMP, Sparco and various other brands have a +/- 10mm tolerance on the bolt point locations on each of their sub-frames. This means that when installing the equipment into your vehicle, you may find that one or more of the bolt points may need extending for a perfect fit. This is normal and, when installed by a skilled professional, it may only add five minutes to the total installation time. A prime example is the OMP Renault Clio MK3 frames and the BMW E46 frames as two bolt points need extending by 5mm in 75% of installations. Aftermarket seats are not all made with the same installation points and bolt patterns. This is very important to note as using multiple products from various brands may mean that seats and frames do not work together. Without compatible products, the installation may not be possible without major modifications. When purchasing from GSM Performance, we will provide our specialist advice on which brands and products work correctly to ensure that the items you receive are suitable for your requirements. We must stress that a skilled professional should always complete installation as bolt points may need basic modifications depending on the seat and application. Installing base mounted reclining sport seats is most commonly the simplest process. Traditionally, the recliners will have numerous base mount bolt points under the seat which can be matched up to a compatible set of sliding runners and frame kit with matching bolt points. Installing base mounted bucket seats can usually be as simple as installing a base mounted recliner. There are a limited number of fixed back bucket seats which have base mount bolt points on the market, however, in 99% of cases, this excludes seats with fibreglass shells. Please contact us before ordering your seat and sub-frame combination to ensure that they are compatible with each other. 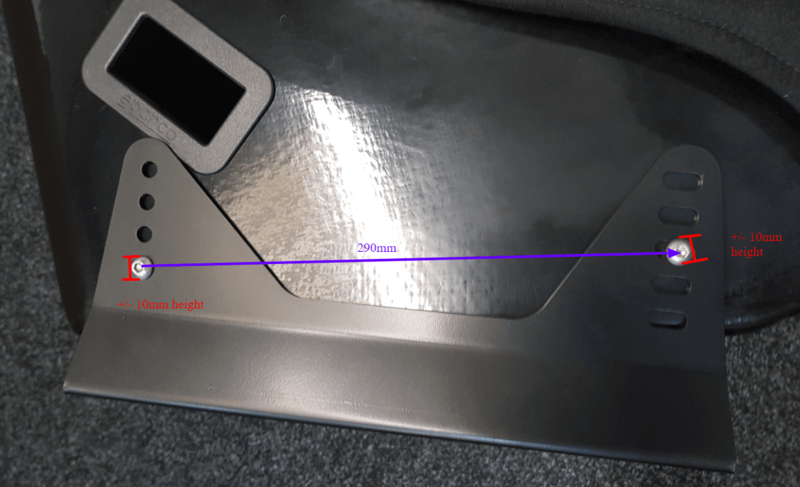 When using seats between brands including Recaro/Cobra, OMP/Corbeau the bolt holes may need to be extended for a successful installation. This is normal when fitting aftermarket seats. Installing side mounted bucket seats is usually the most complicated installation. Side mounted bucket seats are traditionally designed for motorsport use and FIA events. In these cases, you would fit the seats to their side mounts which would then be positioned onto a set of weld in bars which will be professionally installed to meet race regulations. However, we know that seats of this type are extremely popular for road cars and track cars. In most cases, you will want to retain your original carpet and perform no modifications to the vehicle. This will mean using multiple components from various brands which will need alterations and re-drilling where required in order to position the seats correctly. Fit the side mounts to the bucket seat. Install the seat sliders to the side mounts (re-drilling may be required on the side mounts). Fit the slider handle between the two sliding rails. Pressure is required to hold in place. The rear of the handle may need adjusting to fit onto the slider’s teeth & hold it in place. Position the seat/side mounts/slider onto the OMP frame where your desired position is. Mark the frame where the bolt points are, remove the seat and re-drill the OMP frame. Place the seat unit back on and bolt to the OMP frame. Bolt the OMP frame into the car to complete the installation. In this type of installation, it is unlikely that the seat unit will fit the OMP frame without modifications. We hope that this short guide has helped to answer any questions you may have.